Crisis or concern, the water issue is big in Texas. It figures to stay that way well past the foreseeable future. The Texas Tribune is reminding us once again by calling attention to a groundbreaking special with which it was partner with public television stations across the state. 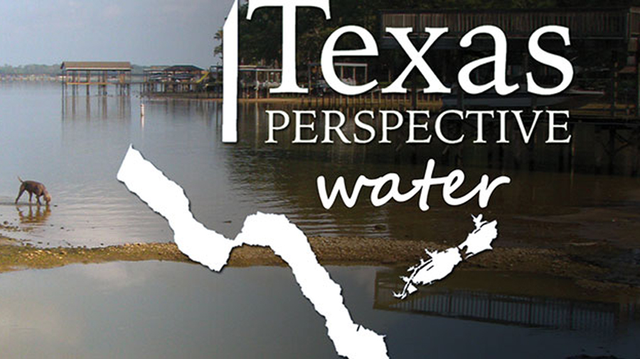 The special, "Texas Perspective: Water," sought to tell the story of how different regions around Texas were dealing with the water situation in light of the drought that continues to grip the state. The special was broadcast in October on Panhandle PBS. Indeed, the Panhandle's public television affiliate played a significant role in producing the special. I was proud to play a small part in that effort, which readers of this blog can view once again online. It's impossible to overstate the value of water to our state's future. Without it, well, we have no future. That's why it's critical that we keep water conservation at or near the top of our list of Most Important Priorities. As the special notes, some communities' water situation is worse than others. Wichita Falls, for instance, is now recycling waste water and blending it with surface water it collects from two reservoirs that depend heavily on rainfall to supply them. As you no doubt know, rain has been a bit scarce in many parts of Texas for the past four years. The demand on that surface water has continued, while the supply has diminished significantly. Blending waste water with fresh water has been a drastic measure, along with imposing serious watering restrictions on residents and businesses in Wichita Falls. Allow me this quick note. My wife and one of our sons and I recently ate at a restaurant in Wichita Falls. We all ordered water with our meals. Its taste? Not bad at all. Winter has clamped its grip on much of Texas. We're not using as much water as we do in the spring and summer. Indeed, as I write this blog, we're under about 3 to 4 inches of snow in Amarillo. The concern for water, though, remains. That concern likely is going to outlive all of us.